Any mover and shaker who loves cars will want one of these fabulous key rings. They are fun and different and will make a statement about how serious you are about your wheels. Our fun key ring is crafted into the shape of a tyre in a dark colour. A hub cap in the middle features a modern design in a metallic finish. 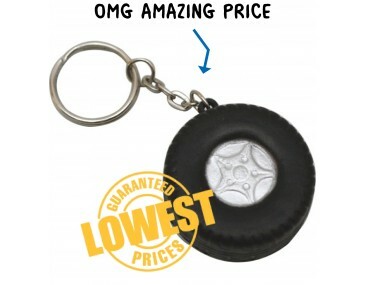 This is the ultimate cute car tyre that you can keep close by at all times on your home, office or car keys. The tyre attaches to a small metal link chain and an all metal split key ring. For extra fun, our tyre is a stress toy and can be squeezed and squashed when you feel tense. Companies in the tyre business, car sales, travel and transport sectors can use these trendy little tyres to create a great and unique marketing campaign. Brand your logo onto the tyre and hand them out as freebies at trade shows, expos, fairs and outdoor events. They make useful and functional gimmicks. Talk to our innovative designers, they have great ideas. Our listed price includes branding of your logo or graphic in a single colour print. We offer a product turnaround time of two weeks, but we can offer even faster turnaround times for urgent orders. This product is supplied in bulk quantities, making it ideal for large promotions. Please note that our prices exclude GST and a print set up of $75 applies. 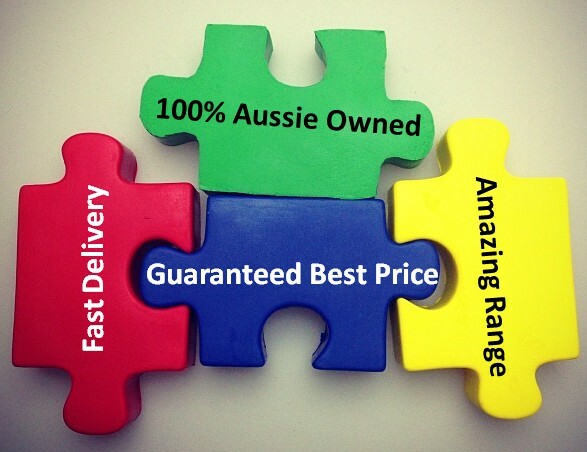 This item is available for delivery within Australia only.